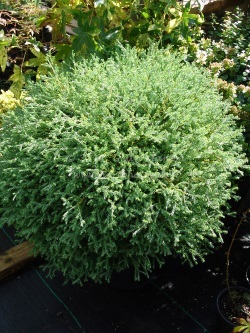 Wonderful globe shaped arborvitae. 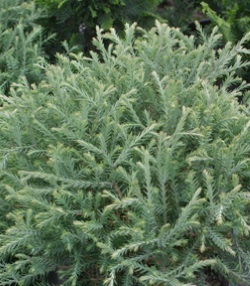 Foliage is soft to the touch and is a sage-green color. No winter discoloration and is very cold hardy. 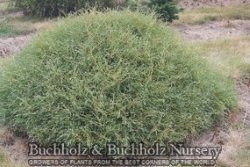 Makes a nice evergreen shrub border or plant along paths, walkways, sidewalks, etc.